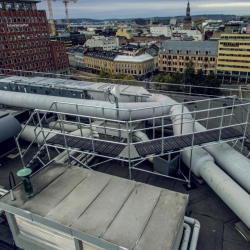 A combination of safety products from Kee Safety feature on the roof of the Oslo Kongressenter building, providing a first-class edge protection solution. 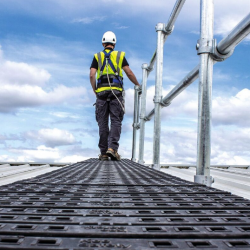 Kee Safety has expanded its range of safe access solutions for roof top walkways and stepovers with the introduction of Kee Walk® with Guardrail. 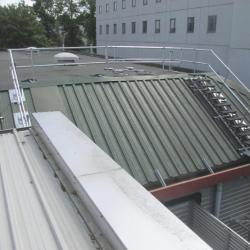 Safesite, a supplier of fall protection solutions, has provided Roehampton Sports and Fitness Centre with a collective roof edge protection system.